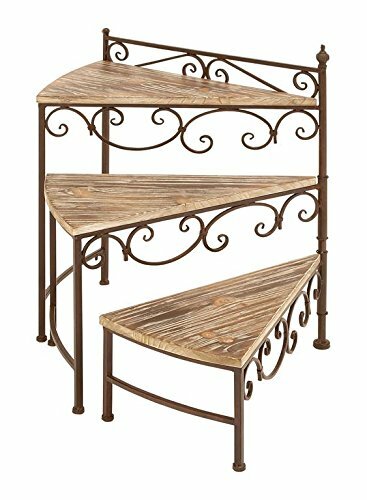 26 inch organic inspired rustic iron three shelf tiered plant stand, graduated triangular wood shelves, scrolled metal frame, footed. Suitable to use as a decorative item. Best for both indoor and outdoor use. This product is manufactured in China.